There’s a million tutorials out there describing how to use shift registers. If you’re just getting into embedded systems you should know how to use them as they allow you to take three microcontroller pins and expand them virtually without limits. This is due to the serial-in parallel-out nature of these integrated circuits. A key feature of these chips is the ability to overflow, or cascade to the next chip which is what provides the expansibility. 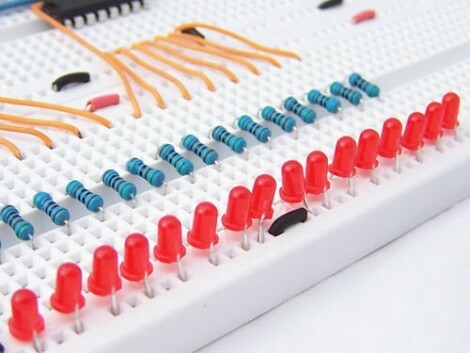 Protostack just published a tutorial that uses this hardware to interface sixteen LEDs using two shift registers. The explanation is short and to-the-point with easy to understand code examples. There’s also something to be said for their crisp and clean breadboarding work. Take a look at how they do it and then use the concept to make a fancy clock or reduce the pins needed to drive a display.